The Price of Oil Has Gone Down and So Did Tesla Stock; Will This Last? But rich Model S owners likely don't give a crap. A brand-new, fully-loaded Tesla Model S will easily cost over $100,000. Obviously anyone who buys such a car can also afford to pay whatever the price of gas is at the pump, but they went for an EV instead. However, the price of gasoline has gone down in recent weeks and many are wondering if this will hurt Tesla’s sales. That's because after oil prices fell so did Tesla stock. Does this mean Tesla is in some sort of trouble? The quick and simple answer is no. "People who buy Tesla today don’t really care if gas is cheap or expensive. They want it because it’s a status symbol or for the performance or they are very eco-coconscious and just don’t want to consume fossil fuels, regardless of what they pay for the fossil fuels," stated one auto industry analyst. There’s so far been a 14 percent decline in Tesla shares since Thanksgiving, driven (no pun intended) by investor concerns that dropping oil prices will lower EV demand. But Tesla shares have since bounced back somewhat. Many (smarter) investors see this as an opportunity to buy up Tesla stock for less. The big picture outlook for the future of transportation and fuel economy restrictions remains unchanged. 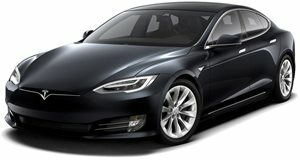 Looking to invest in Tesla? Now’s a pretty darn good time to snap us some shares.